If you care about color and are struggling with color management, we can help. If you have comments or problems, please let us know. "The ultimate aim of research in this field is to figure out how the weevil self-assembles these structures, because with our current technology we are unable to do so," Dr. Saranathan said. "The ability to produce these structures, which are able to provide a high colour fidelity regardless of the angle you view it from, will have applications in any industry which deals with colour production. We can use these structures in cosmetics and other pigmentations to ensure high-fidelity hues, or in digital displays in your phone or tablet which will allow you to view it from any angle and see the same true image without any colour distortion. We can even use them to make reflective cladding for optical fibres to minimise signal loss during transmission." Here's a true color geek Halloween costume: the Philippine Snout Weevil. 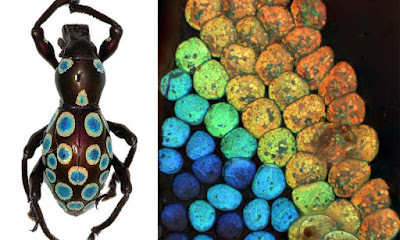 Scientists from Singapore and Switzerland are studying the colors on the Philippine Snout Weevil. This colorful little guy reproduces all the colors of the rainbow in concentric circles on its body, and does so by varying the size and volume of the scales on its exoskeleton. No pigments involved! It is said that human technology has no current means of reproducing this phenomena. Of particular interest is the way these colors do not change hue when viewed at different angles. "The ultimate aim of research in this field is to figure out how the weevil self-assembles these structures, because with our current technology we are unable to do so," Dr. Saranathan said. "The ability to produce these structures, which are able to provide a high colour fidelity regardless of the angle you view it from, will have applications in any industry which deals with colour production. We can use these structures in cosmetics and other pigmentations to ensure high-fidelity hues, or in digital displays in your phone or tablet which will allow you to view it from any angle and see the same true image without any colour distortion." While we're at it, you should know that ColorThink Pro is a 32bit app on both Mac and Windows. We're working on a major (paid) upgrade that will be 64bit. In the meantime, macOS High Sierra appears to be warning users that the app is not "optimized" for their machine. Not to worry, it runs fine. Our initial testing with Mojave (10.14) beta indicates that ColorThink Pro will run fine there as well. See the release notes in the download to get the skinny on all that this update touches. 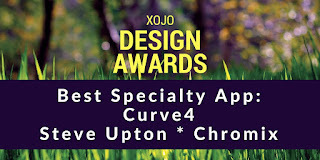 We have just learned that Curve4 has won a software design award! 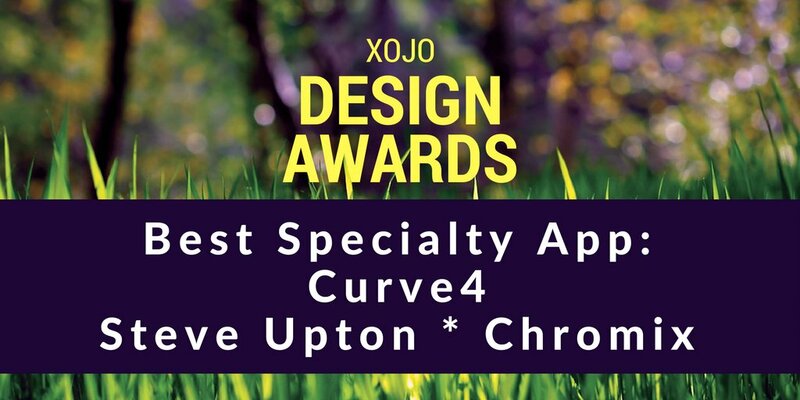 The Xojo design awards for 2018 have just been announced at the Xojo Developer's Conference in Denver. The report is that judging the winners was not easy because of a large number of great entries. 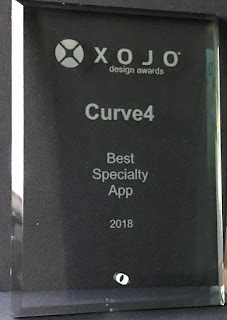 Curve4 received the award for Best Specialty App for 2018! 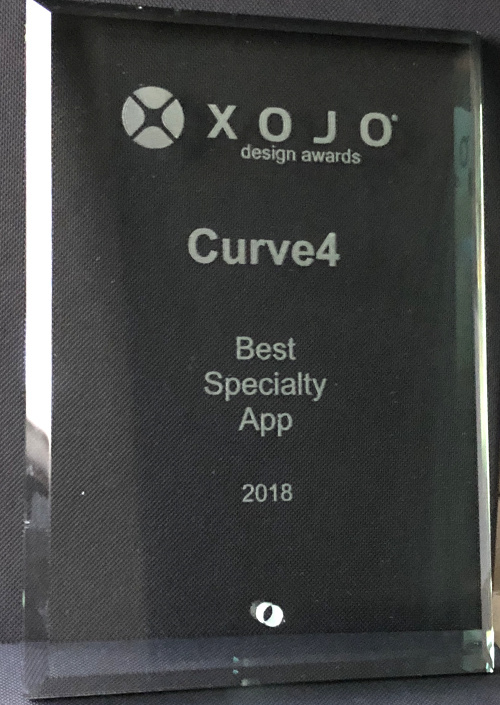 All of you who marvel at the complex calculations and the powerful new features in Curve4, even while the user interface is easy and intuitive - well... you're not the only ones to be impressed. A few years ago I posted here about the popularity of our transmissive profiles. Now, these profiles are faster, better and less expensive. Since that post in 2010 we have invested in a state-of-the-art Barbieri LFP spectrophotometer, which makes it possible to take transmissive measurements using our standard target. The word "transmissive" means we are capturing the measurements of the color as it passes through the clear or semi-opaque material. 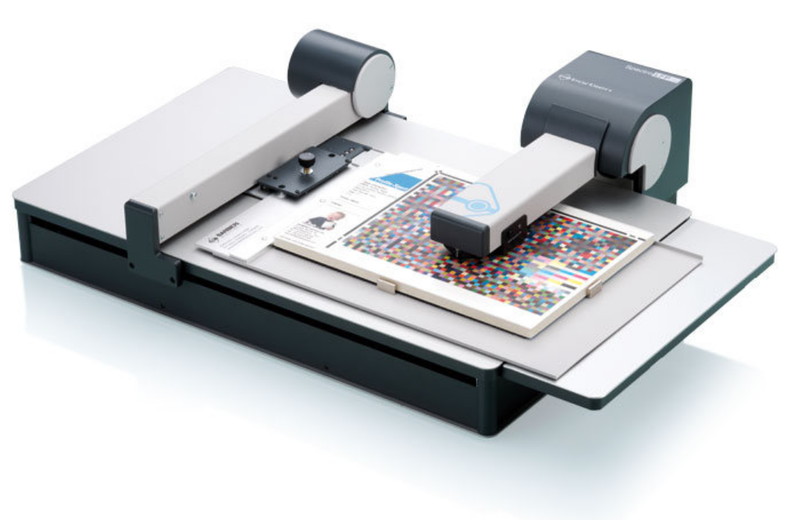 The effect of a light source transmitting through the semi-clear media and through the ink can best be captured using a spectrophotometer that is specially made for this purpose. You might use transmissive profiles if you are producing images intended to be back-lit in light boxes or other such displays. Tropical fish, or defective profile? I got a call from a printer today who decided to order a custom profile from us. He's up against a deadline and the canned profile from the paper manufacturer is giving him a lot of banding. Always curious about bad profiles I asked him to send it to me so I could take a look. 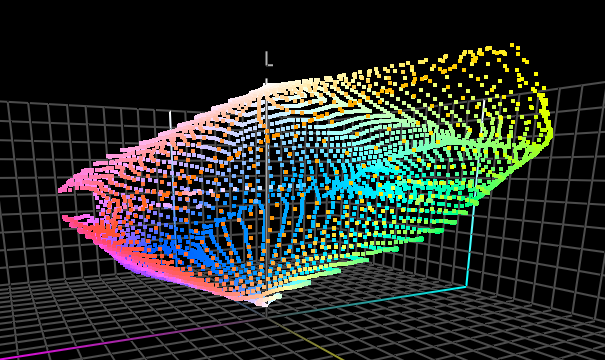 I ran it through some of the tests we do using ColorThink Pro, including Viewing a Rendered Gamut. (See the "tropical fish" gamut above.) CTP showed pretty quickly strange handling of blues, and a section of outer gamut magentas were being mapped to color locations well inside the gamut! It turns out this profile was made using Monaco Profiler, considered one of the best profiling engines of its time, and not too long ago at that. It occurred to me that even with a good profiling engine, you never really know what you're getting when you build a profile - unless you have a means of checking it out - seeing its shape, if the measurements match the gamut, if it renders appropriately. This was a publicly distributed profile, going out to users of this well-known brand of paper. My customer said he was using up more paper trying to deal with his "banding" issues than he used adjusting color. To tell the truth, the profile is not so terribly bad that it produces a lot of bad color. In fact, depending on the content of the image a lot of prints might come out fine. But this customer spent a tremendous amount of time and paper trying to solve this problem while running different calibrations and head alignments with Epson. He had a deadline coming up, was supposed to print 40 x 60 inch inkjet prints, and ended up overnighting a new target to us because he was running out of time. Some people who have never heard of ColorThink (there are a few) ask me why they should get it. How is it going to improve their color tomorrow? And I don't have a good salesman answer for them. I say something about how it does not fix things so much as it's a diagnostic tool. That's about when their eyes glaze over and I can imagine what they're thinking - they don't need another diagnostic tool that gives them cool things to look at but has no practical value. So this real-world example is just one of many, many examples of the practical value of ColorThink Pro. If this customer had CTP, he would have quickly uncovered the cause of the banding that would have saved them more time and money in just one use than the program cost. 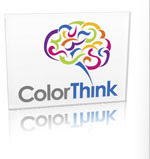 When you've got a problem - that's when you need ColorThink.